I use this product for approximately 80 in my team. I find it hugely valuable and simple to use. 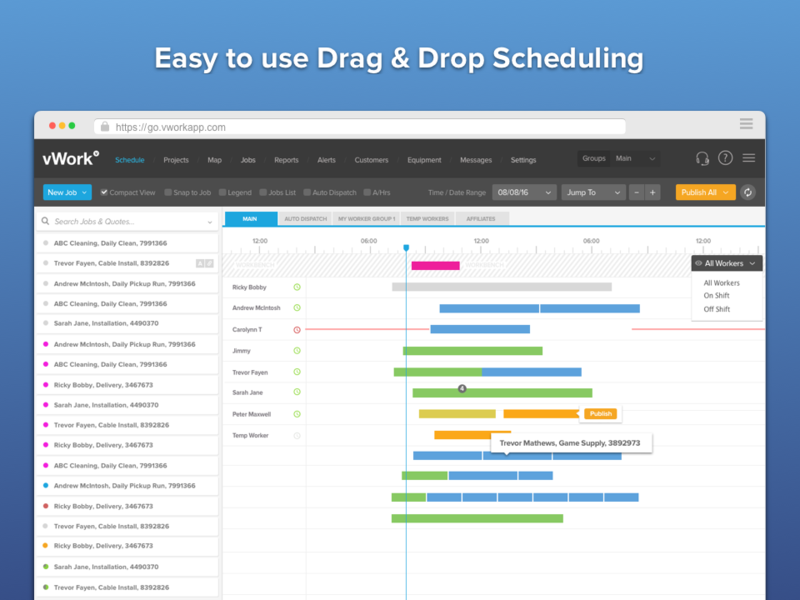 Pros: The schedule / grant chart is an excellent tool to organise you Team. You gain an excellent appreciation for the current state of operations. Who has finish, who is starting a job and what step they are up to. 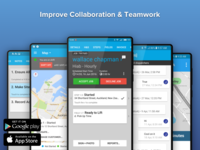 By linking to each job and worker through the app you transform your operation with electronic collection of valuable information. Customers can also raise there own jobs through the customer portal. 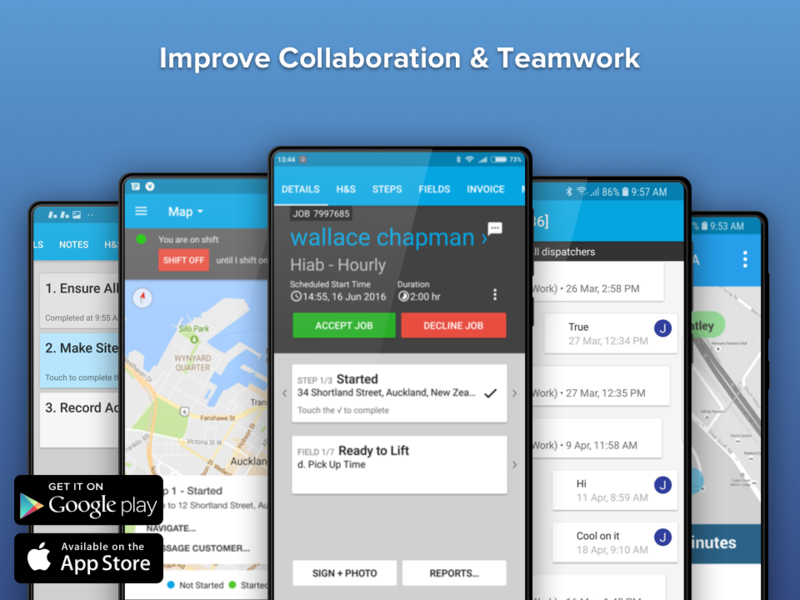 The team are actively developing the solution and updates and improvements occur regularly. Cons: I would love the software to also track assets beside workers. You can do this if you make the worker the asset. But ideally the team need to add this as an option. I know they are actively considering this for the future. I'd also love to see the text alerts have greater customisation. Overall: The software frees up resources and adds value. I found it paid for itself very quickly through better time keeping and great utilisation of the team. I use VWorks most days to manage our bookings. A customer will walk-in and ask if they can setup their devices at the end of their purchase. At that moment I have the time free for this customer. Presently I cant make a place holder and then add the customer/invoice details after their sale), There have been problems where a subsequent booking is made for the same time. When looking up a cutomers history I can see their job codes. It would be useful to have all the Job Notes showing so we can see all notes in a glance to quickly gather their relevant history. Particularly when this might be a repeat issue or ongoing training. Overall: Being across the company we all get to use/share tips and improve on best practises. It is a good system for managing our bookings. Would be the best service management software I have come across. Pros: The system is very reliable and easy to use. When we do have an issue the backup support is first rate, fast and efficient. By using vWork we have been able to engage more with our Customer and with this provide a superior service to that offer and achieved by our competitors. Our customers enjoy the additional interaction with us and this is all down to vWork and its ability to give us the tools required to help us grow our business. I wish vWork had been available many years ago when I was struggling with bits of paper. Cons: Hard to come up with a negative on vWork - it just works and works well. Nope, sorry - I can't do it - I can't think of anything that I do not like enough to comment on. Overall: We have been able to automate a lot of the delivery allocation process and provide a high level of service to our customer base. It saves us time every day by not having to manually sort our delivery schedule into order, and being able to see clearly when the trucks go is great. Cons: functionality needs to be fixed. Hi Leslie. To simplify repeating template upkeep ideally you can use our new repeating schedules and assets as this is template agnostic. Feel free to contact us on support@vworkapp.com if you wold like us to take you through this. Also we are working on getting the updates out of hours however we still may need the odd urgent 2 minute hot fix to go out once in a while, apologies, unfortunately these urgent fixes can be out of our control. Comments: Before vWork, all we had were paper instructions. We didn't have a clue what was completed which made making our contractual response times impossible. We faced several areas of frustration; no efficient planning, no real-time view of current outstanding issues and multiple visits to jobs. Now, over three years down the track, using vWork we have almost real time view of what is going on. At the end of the day we know what hasn't been completed so it gets picked up by our optimiser for the following day. This helps keep on top of our responses times. We have photographic evidence of the repairs we carry out. No more printing off all the reports. Gangs no longer have to travel to the depots twice a day to pick up and return paperwork. needs together make a winning combination. vWork is great on its own but it can also integrate with other technologies to give you even greater benefits. 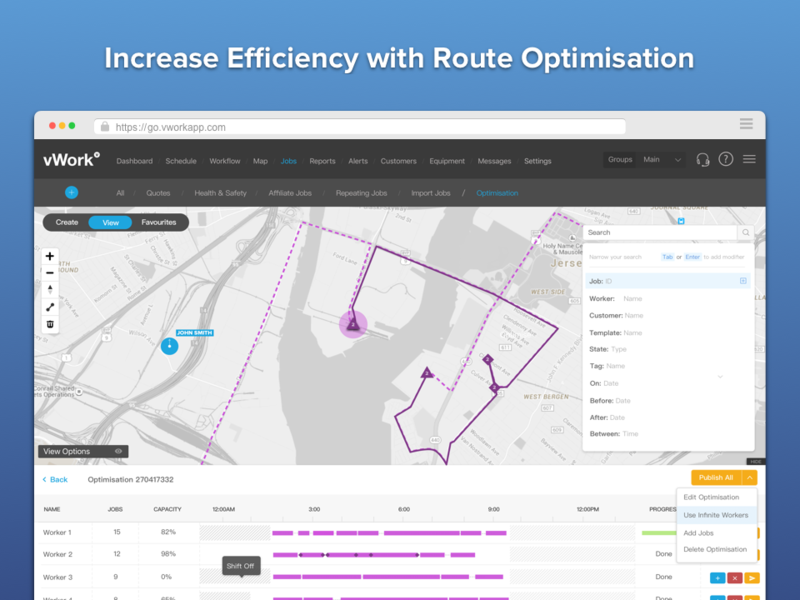 The hardest thing about getting started with vWork was caused by the fact that we wanted to use other technology with it, developing the connections from our system to vWork and the largest part of the whole project was using route optimisation technology to assign jobs to our crews. I would recommend vWork based on their willingness to enhance product, very friendly team, excellent support. Used vWork for 7+ years for our waste collection business. Easy and efficient with great support! Pros: Good interface, remote access, easy function, versatility and map features. 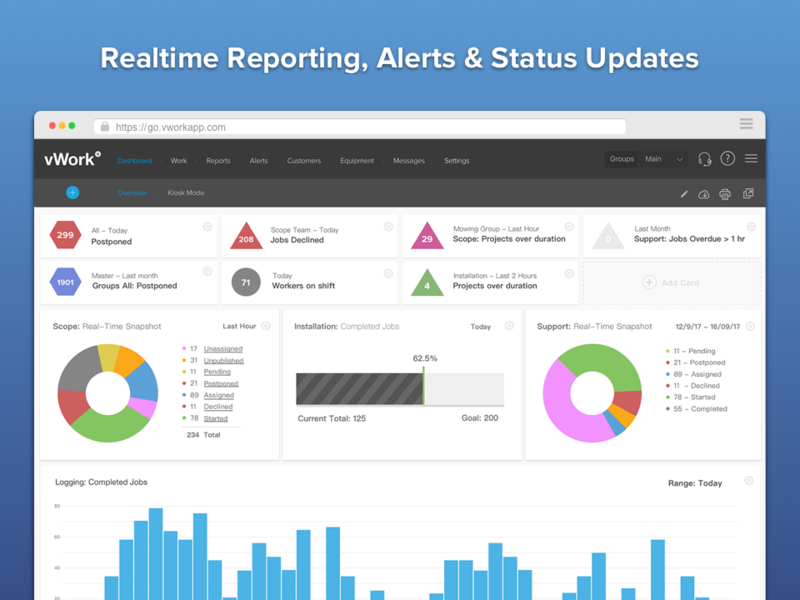 Great reporting features and email job notification features. Cons: Our main issue was uploading the multiple jobs for multiple trucks for different runs, limited capacity, can't use it as we grow our business to more trucks with more runs (80 - 100 + jobs per truck per run). Hi Gemma. Our job import can handle up to 400 jobs for each template. For more than 400 jobs we usually recommend you send jobs through via our API. We can help with this if you send through your requirements to support@vworkapp.com. Pros: I really love the clean, easy-to-use interface and how everything is laid out in a logical format. It's easy to get your head around right from the start and very easy to customise, too. Cons: Occasionally if you're in a rush to fill something out and accidentally miss something you can't proceed until you've "fixed" what you missed. It'd be helpful if it made it more obvious what information you're missing and give you a quick option to fix it. Overall: It was the easiest software for our company to use based on past experiences with other similar software. 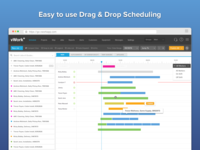 Pros: Easy to use, functional software. Great user interface. Highly customisable templates. Also incredible support team who respond very quickly to any issues. Cons: Unfortunately we required a customised solution and being a small business this was not something vWork were willing to support or offer solutions to and we have had to switch to a more specialised provider. Overall: Enabled us to scale from one bin pickup per week to 5000 pickups per week. Easy to use job management software. Never have an issue. Pros: Web and app based. The user interface is very easy to use resulting in an easy flowing work day. We have used previous programs in the past but none have worked as flawlessly as vWork. Cons: I believe that when it comes to this software that battery drain can be a let down on older devices. it is a very good app to use. Pros: reasonably easy to use and inbuilt map. it also has different view s such as map view, calendar view etc. this is a useful function. Cons: Its good to include a recording function upon each job completion. it often takes more time and hard to type on small screen. So having a record option makes it easier for making verbal comments. Pros: Locating drivers and being able to watch what job they are on - real time tracking with time stamps. Cons: If a job is completed late, does not shuffle out the other jobs to match this. I think adding this simple function would improve this service. Pros: It is easy to use, but a little bit complicated, with easy directions to follow. Cons: The app drains the battery fast from your phone, not the most ideal for daily use, but we don't have another option. Pros: Useful for its purpose. 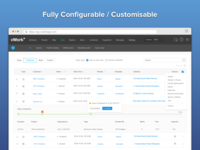 get all the information and required functionality for what is build for. Good app. Cons: Not used extensively so I do not find any shortcomings for the app. I need to use more find the least interested features.